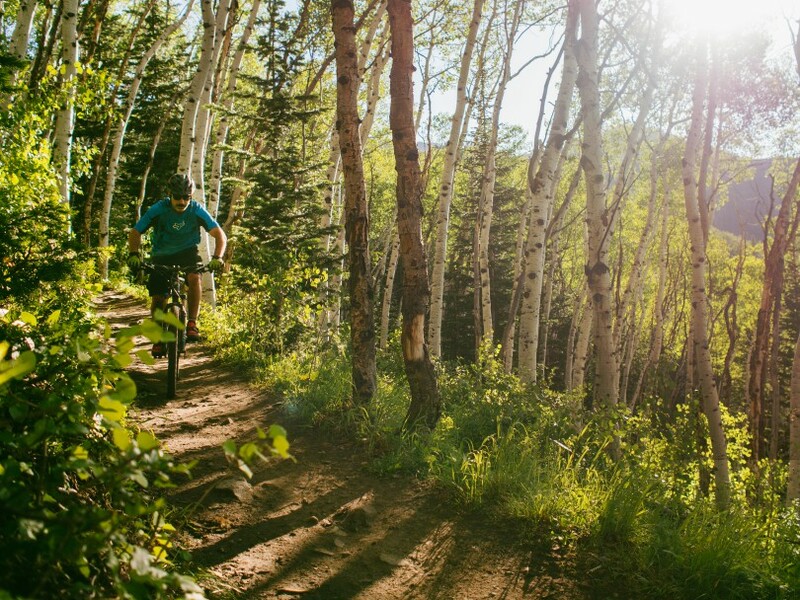 Rob’s & Collins trails are part of the Canyons Resort trail network and offer great out-and-back options as well as access to the Mid-Mountain Trail. Given it’s lower elevation, combined with the fact that the trail doesn’t cross any ski runs, Collins & Rob’s trails typically dry out early in the season and packs some decent elevation change. This particular route is an out-and-back, however, you can connect to both Ambush as well as the Ridge Connector trails for a truly epic ride once all the snow melts. After pedaling roughly 1,500 ft uphill, point it downwards for a fast romp back down through the woods. Rob’s trail is fairly wide and straight with just the right amount of rocks to bounce through, so it’s easy to hit top speed on the way back down. Keep it under control as to not take out a tree, hiker, horse, or fellow rider as the trail can get crowded during evenings and weekends, especially early on in the season. The recommended route to Rob’s is via Collins trail. Collins is a quick little connector trail that will cut out a significant portion of paved road. Park in the Park City Community Church parking lot, and continue west on Bear Hollow Drive. Take your first left on to Sun Peak drive and the trail will begin just off to your right. At the first marked intersection, veer left and continue uphill. You will be on Rosebud’s for a brief stint before making another right uphill onto Rob’s trail. Continue climbing on Rob’s until you reach the junction for Ambush. To ride as an out-and-back, simply turn around and return the way you came. To extend your ride a little, you may also return via Rosebuds which will finish on a service road below the Orange Bubble Chair. 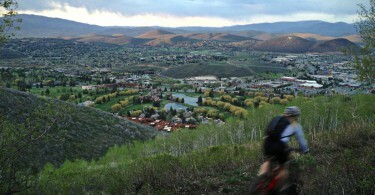 Ride the service road to return to Canyons Resort Village and stop by Drafts for post-ride refreshments. Depending on the snowpack, Rob’s could be ready to ride by mid-May, and is most always a safe bet by June. The trail is heavily wooded and provides plenty of shade making it a great option all throughout the summer. Early spring, get treated to splendid wildflowers off Rob’s and in the fall, enjoy a feast of fall colors. It’s a neighborhood favorite for residents in the Sun Peak & Bear Hollow communities, so the trail can see heavy traffic during the evening and on weekends, especially during the early summer months. We recommend riding mid-week as well as during morning and afternoon hours when possible. Always be courteous when encountering other trail users. 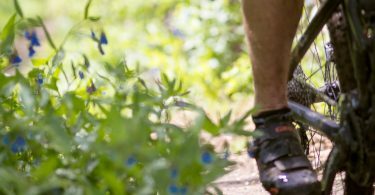 For up-to-date trail conditions, visit the Basin Recreation Trail Conditions. Feel free to leave a comment if you’ve ridden the trail lately or have more recent trail beta. Post-ride, spin over to Drafts at the base of Canyons Resort for some celebratory beer and/or grub. Park City Mountain Biking recommends the tachos.